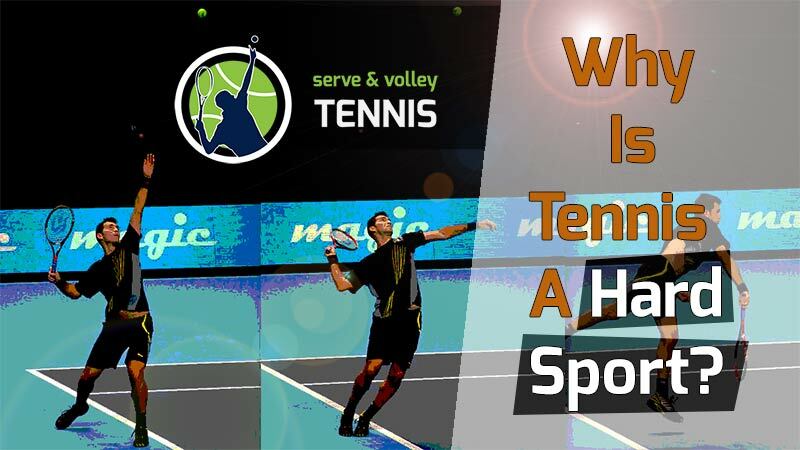 Home » Theory » Why Is Tennis A Hard Sport? Tennis is one of the toughest sports of all the popular sports to play well. If you’re new to the game, just realize it can take months, or even years, to get to a level where you can hit and play confidently. 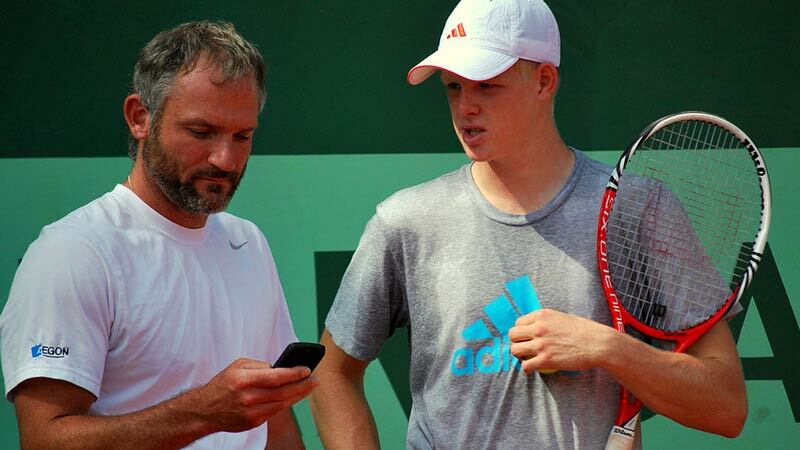 If you have a good coach from the beginning, it will make your tennis journey a lot easier. I can tell you that for sure. Take it from someone who didn’t have coaching and didn’t know proper technique in my formative tennis years. I’ve heard it said that tennis and golf are the only two sports you can play life-long and never improve. And I believe it. How many of you know someone that plays either sport frequently and always stays at the same level? Tennis requires precise timing and years of practice. Tennis utilizes technical skills often hidden without the aid of coaching. Tennis demands a high level of athleticism and coordination. Tennis calls for a strong mindset and positive attitude in the face of constant adversity. I want to talk in more detail about these. I believe if you can understand why tennis is hard to pick up, you’ll gain a greater appreciation for the sport. You’ll also better understand how to learn the game. While some of you may view me as a high-level player, I struggled with my game for years. I didn’t learn tennis at a prestigious academy. I learned through years of trial-by-fire and analysis of the game. For this reason, I believe I’m perfectly qualified to help recreational players improve their tennis games. I do this in my lessons, my blog, and my videos. I’ve been through it all in tennis and know the little nuances of why people struggle and what they can do to improve. But this blog post is not about giving technical advice. It’s a post more about the journey of learning the game and answering the question I’m so often asked: “Is tennis a difficult sport to learn?” I believe it is and I my thoughts are reaffirmed every time I give a lesson to a new player. A couple of years ago, after Serena Williams won yet another major, I saw two women hitting on the court next to me. They clearly had never played tennis before or had minimum experience. They could barely hit the ball to each other but were inspired to play after watching Serena. People that have never played tennis have little clue how difficult this game is. 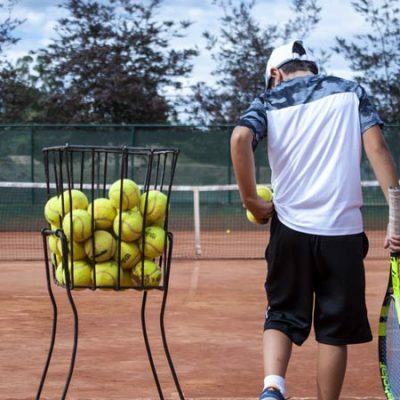 But with the right coaching and several hundred hours of practice time, a player can reach a beginner level and play entry-level competitive tennis. Alright, so let’s go through each bullet point I listed above. In that way, I can clarify better. When I first started playing tennis, I rarely hit the ball cleanly. 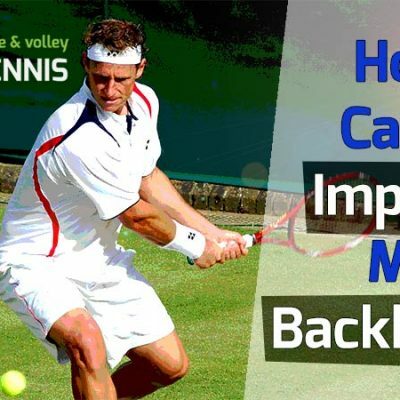 It was only after a couple of years of constantly playing that I learned what it meant to hit the ball on the sweet spot of the racket consistently. I believe one of the biggest reasons why people don’t succeed early on is a lack of precision in their game. If you can’t hit the ball on the sweet spot, chances are you’ll never excel in tennis. This only comes through countless hours on the court, learning to time the ball. 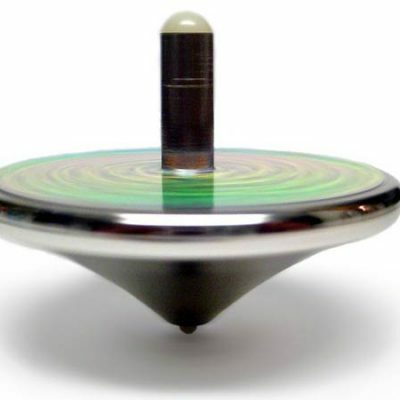 I find that kids and uncoordinated adults have the hardest time with this. They often hit the ball too early, too late, or near the frame. It’s a real problem and one not easily solved. To time your swing to hit the ball at the perfect moment is not an easy feat. Sure, the pros make it look easy. But if you’re a beginner tennis player, you know it’s not. Even after more than 20 years of playing, I still struggle with this on various shots. Most of them are shots taken right off the ground or ones with heavy topspin that raise up high. Another area where timing is crucial is the serve. If you want to play a match, you need to learn the tennis serve. 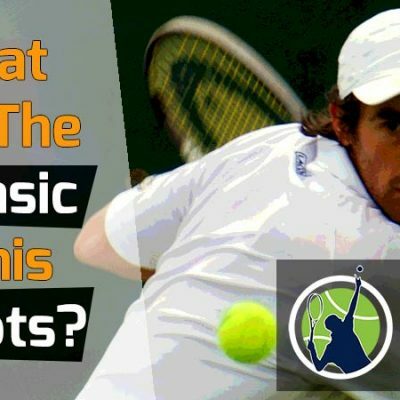 I’ve written numerous articles on the serve and why it’s one of the toughest shots in tennis to master. The serve requires absolutely perfect timing and years of practice to master. Unlike most other sports, the margin of error for this shot is extremely low. 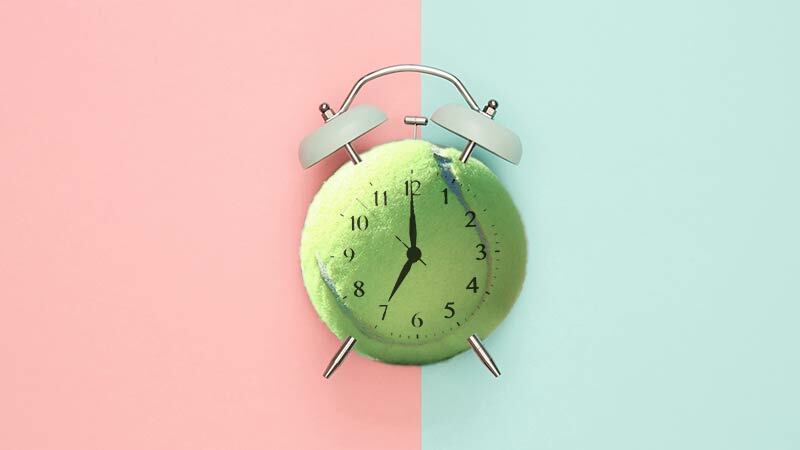 Yes, sports like golf and baseball are somewhat similar, but tennis requires precise timing in everything. When I give lessons, the serve is really where the rubber meets the road. I can quickly tell how adept a player will be. Most struggle with the serve heavily, while others can pick it up at a decent pace. But a strong, advanced serve takes years of learning and good coordination. The other areas of tennis that require precision timing are the volleys and overheads. These shots often perplex beginners, especially the overhead. But like all the other shots, with practice, they slowly begin to improve. The volley is perhaps the easiest shot in tennis to hit. It’s a very short, compact motion that anyone can learn. Unfortunately, if the timing is not perfect on it, the volley usually fails. When a ball is coming 80 mph directly at your body, even players with a great volley can miss. This is what makes tennis so difficult. You can never really predict where the ball is going to be due to factors such as wind and court surface. When playing on clay, it’s like a crapshoot. I played a lot of sports growing up and I was able to get good at most of them. But the one sport I couldn’t get good at was tennis. This is because it requires a special set of skills oblivious to the new or untrained player. When I played baseball, the most difficult thing to do was to hit the ball. I did that okay but throwing and running came naturally. In football, all I had to do was catch and run. In basketball, I taught myself to shoot very well and dribble efficiently. It wasn’t very difficult if I practiced enough. As I got into tennis in my late teens, I noticed my level improved only very gradually. It was almost imperceptible. I played for several hours every day for 4-5 years and saw almost no improvement. It was the one sport I couldn’t figure out. And that’s because every stroke in tennis involves a unique set of technical skills. If you don’t do the stroke correctly, you end up with what I call a “homemade” stroke that will never compare to hitting the ball with proper technique. Just watch a recreational player hit the ball and you’ll see a massive difference between them and a pro. Have you ever noticed that? Why is there so much of a difference? The pro has been taught correct technique and honed it over years of play. The result is a vastly better shot. It’s also a vastly different-looking shot. It’s very evident when comparing a recreational player to a pro. But when you look at most other sports, there doesn’t appear to be much of a difference between an amateur and a pro. Good examples of this include football, soccer, and basketball. You can go to a recreational game of these sports and the players don’t look that much different from pros if they have experience. But tennis is different. It’s just a hard sport to learn if you don’t have proper coaching. But with proper coaching, it can be picked up in a year or two with continuous practice. 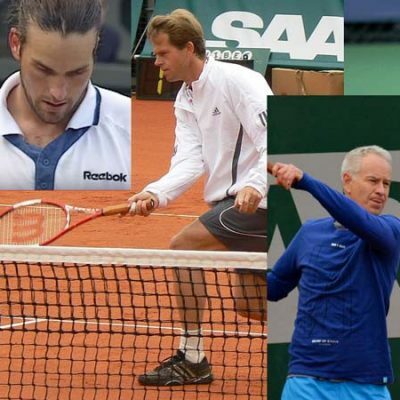 I’ve seen the difference in coached players and non-coached tennis players – the difference is stark. 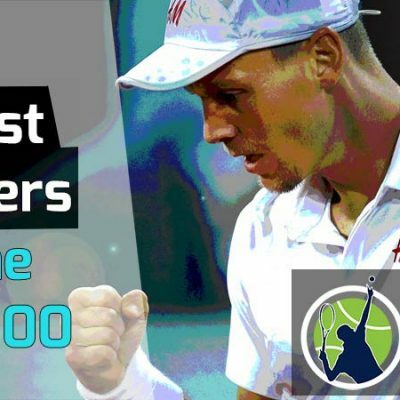 If you’re new to tennis and want to improve fast, the best bet is to hire a qualified coach. If you can’t afford one, take an online tennis course or watch free tennis videos. Trust me, knowing proper technique makes all the difference. It always surprises me when experienced club players make the same glaring flaws in their technique year-after-year. While almost all sports require a high level of athleticism, it’s especially true in tennis. Being a great athlete is a must if you want to make it to the higher levels of tennis, such as being a Division I college player, advanced level tournament player, or professional tour level player. If you look at the best players in the sport – Nadal, Federer, Serena – they all have one thing in common: being exceptional athletes. Tennis requires perfect footwork, quick starts and stops, and explosive movements. It also requires superb endurance, as matches could go on for hours. 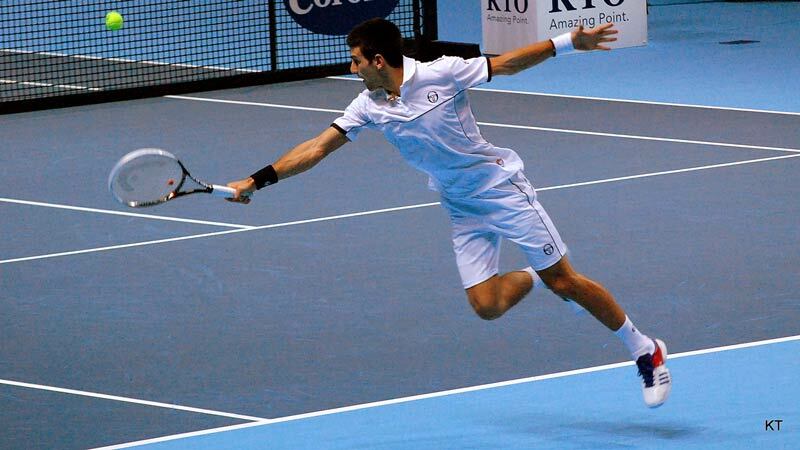 One of the reasons recreational players fail to advance in tennis is a lack of athleticism. They just can’t move their bodies quick enough to hit a hard groundstroke or penetrating tennis serve. I see this with my own students. Many of the older ones have trouble generating sufficient racket speed. They also lack the explosion necessary to move to a ball hit away from them and return to a good court position. I’m afraid not much can be done to improve the athleticism of a 60-year-old woman or man looking to improve their game. For this reason, your level in tennis will largely be determined by your athletic prowess or lack thereof. In cases like these, working on improved technique is paramount. Just by improving technique, a player can jump up a level without working on any athletic prowess. But movement is key in tennis, so it will be a small level up. Tennis also requires a high degree of coordination. If you can’t coordinate all the pieces correctly, the kinetic chain breaks down. This will result in poorly hit shots and serves. When I teach players – especially to new students – I can often spot 5-6 things they need to improve on for each stroke. For example, when teaching the forehand, the mistakes are evident and one seems to affect the other. They could be lack of power position, not achieving a laid-back wrist, not extending out to hit the ball, lack of follow through and rotation in the body, and hitting late. These are just some examples. I need to correct all these mistakes for my student to hit a great tennis forehand. But where to begin? Many adult students come to me with bad habits, which is why I like teaching children. Children are like blank slates. You can show them the proper technique from the beginning and they don’t know anything different. That’s why all the professional players in the world learn tennis when young. Not one of them learned on their own or came to the game as an adult. Unlike most other sports, tennis is a one-on-one battle that can drive you to insanity. That is unless you like to play doubles. I personally enjoy both singles and doubles. 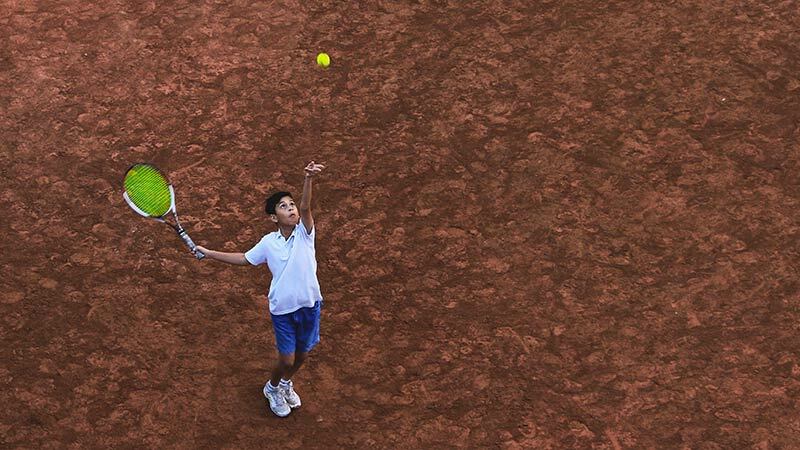 In either play, tennis requires a stronger mindset to succeed than most other sports. Among the four major team sports in the U.S. (basketball, baseball, football, and hockey), there are at least four other teammates to rely on. And in football, there are 10! In these sports, it’s perfectly fine to play a role and allow your teammates to do the rest. I’ll give you an example. In football, the kicker only plays in certain situations, such as when kicking field goals, punts, etc. But the entire rest of the game is dictated by all the other players. In tennis, you’re responsible for everything that happens on the court. It, therefore, requires a strong mindset, as there are a lot of ups and downs that occur in a match. You’re on the court 100% of the time and all eyes are on you. Just watch a professional tennis match to see evidence of it. There are so many ups and downs that are possible. During one point a player can be jubilant and the next one point he could be sulking. I’ve seen so many matches where a player could have easily won, but their mind got the best of them. In one recent match, Sloan Stephens was playing a lower ranked Russian player named Ekaterina Alexandrova. In the first set, Stephens got starched, losing 6-0. That was a shock to everyone. Alexandrova was up a break in the second set and serving for the match at 5-3. But out of the blue and for seemingly no reason, she began to fall apart. She exacerbated her problems with severe negative body language where it wasn’t necessary. Instead of remaining poised and strong, every shot she missed would draw a noticeable sigh and shaking of her head. Sloan noticed her dismay and stayed the course. She eventually won the second set in a tie-breaker and took the match in a third set tie-breaker. The only other sport that rivals tennis for mindset is combat fighting, like boxing or MMA. In those sports, mindset is very important. But even fighters with the best mindsets can be defeated in a single blow. Tennis is a bit different in that a player always needs to win at least 12 games before the match is over. This can take anywhere from 45 minutes (if a very decisive victory) to several hours or more. A tennis player, therefore, needs to remain mentally strong and focused for hours at a time. Any lapse in mental fortitude can result in losing the match. It took me a while to hone my mental attitude to where it is today. But beginners often become too despondent when they miss or lose. For this reason, tennis is a hard sport to get good at. It definitely requires mental strength, as well as physical abilities. As you can see, tennis is not an easy sport to learn. It requires a lot of time and practice to get good at. Unfortunately, it often involves a good deal of money to get good at as well. I hope this post answers some questions you had about tennis. Please don’t let me discourage you from playing though. I know some of the things I said here make tennis seem difficult. I admit tennis is a difficult sport to learn, but you’ll never know how good you can be until you try it out. So take to the court, learn proper technique, and have low expectations in the beginning. That’s your best route to success in tennis. If you enjoyed this blog post, check out some of the other posts on my blog. I have a lot of great posts on improving your game as a beginner. Additionally, you might want to check out my youtube channel for awesome video tutorials. See you on court soon!